While I hadn’t necessarily been planning on posting very much this week…I had the night “off” from directing VBC tonight (thanks to one of my co-laborers who insisted she could run the show tonight), and writing a blog post seemed like an enjoyable way to spend a bit of my extra time. I wrote a post a few months ago about my initial thoughts on using the Logic of English Essentials curriculum. I’m intending to post continued thoughts about LOE-E and snapshots of how we’re using the curriculum throughout the year. After a six-weeks-or-so break from all formal schoolwork, Spelling was one of the first subjects we added back in early July. 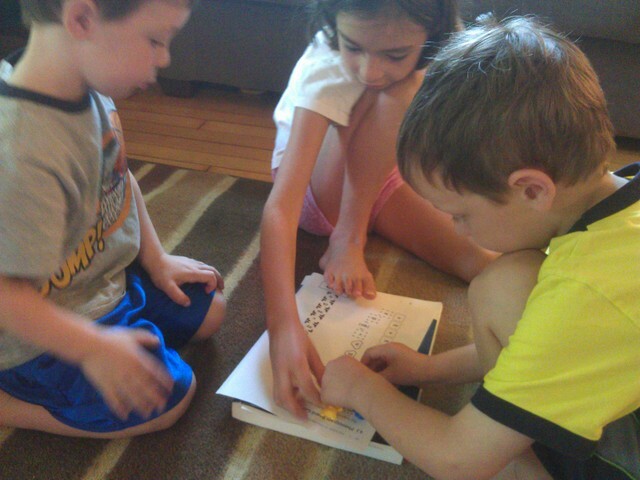 We started lesson 7 today, so we’re still early on in the program. Though I do have to say it presents a challenge that Mr. K insists on playing with us most of the time. But he barely knows his letters, much less his phonograms. I also haven’t been working a whole lot with Mr. E yet on knowing all the sounds each phonogram makes (that’s on the to-do list once we get rolling with a full school schedule in September). So, it makes for rather interesting game playing. We still have only tried phonogram games for the most part. I’d like to try some spelling word games soon. And Miss M and Mr. E had to run and grab the card that explained why a word has a /long A/ sound as I announced each word. It was an okay, active game. I think I could do something similar with /Long O/ sound words we are now studying in lesson 7. 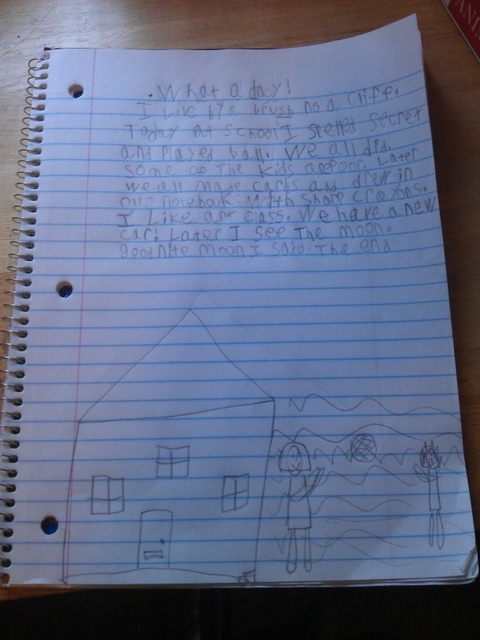 Miss M asked if she could write a story with her spelling words each week. I said, “Of course!” She is pretty good about asking how to spell words she doesn’t know but wants to add to the story. She has written two stories so far — the first contained no mistakes (not counting words we haven’t worked on that she asked about first before writing down), and the second story only contained a couple of small mistakes. One mistake that was kind of funny to me was her spelling of the word “later.” She insisted several times that it must be “lader” — because that is how it sounds when she says it! I had to write down “late” and “later” before it clicked for her! Maybe “enunciation” or “articulation” is a subject we’ll have to pay more attention to in the future! I’m also planning on reinforcing the spelling rules throughout the year by creating copywork pages based on each rule! So, no program is perfect and I knew eventually I might find something I disliked about LOE-E. I am finding I really don’t like the format of the workbook so much. Not the activities themselves — those are fine. It’s the kind of paper they are printed on and the perforations. I’ll be honest and say that Miss M has had some moments of frustration while doing spelling dictation (though mostly before we watched the video — that really did help a lot!). And when erasing needed to happen…the thin paper the workbook is printed on ripped very easily. I think we have had no less than three out of six spelling dictation workbook pages we attempted to use ruined by ripping/holes during frustrated erasing. And the pages really don’t stay in the workbook very well. This is all fine and good I am sure for use in schools where papers are turned in to the teacher. But I would prefer to keep a workbook together to use for review and reference and that’s just not going to happen with this workbook. I really appreciate that the cost was kept low for this massive workbook, but I think I am now feeling like I would have gladly paid more for a nice spiral bound workbook with regular paper. I’m still mulling over my options — I might purposely pull out a lesson’s worth of pages at a time and hole punch them or use my proclick binder on them. At least they might stay together that way. It wouldn’t solve the ripping problem, but I am crossing my fingers that we’ll have fewer frustrations in the future. I’ll plan to share another update in a month or two! 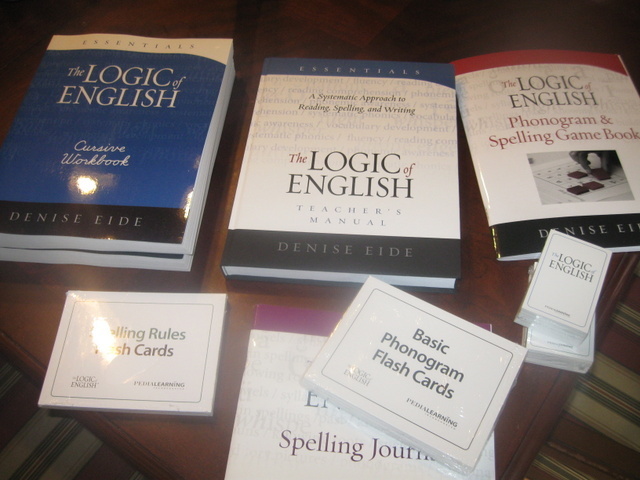 At our state homeschooling convention this past April, I made a big investment: I purchased the Logic of English Essentials curriculum and some of its supporting products. We didn’t have very many weeks to use it before we hit our six week summer break but, it made a big impression on Miss M. When asked about her favorite thing that happened during 2nd grade, she said “finding a new spelling curriculum!” I was pretty shocked to hear her say this. 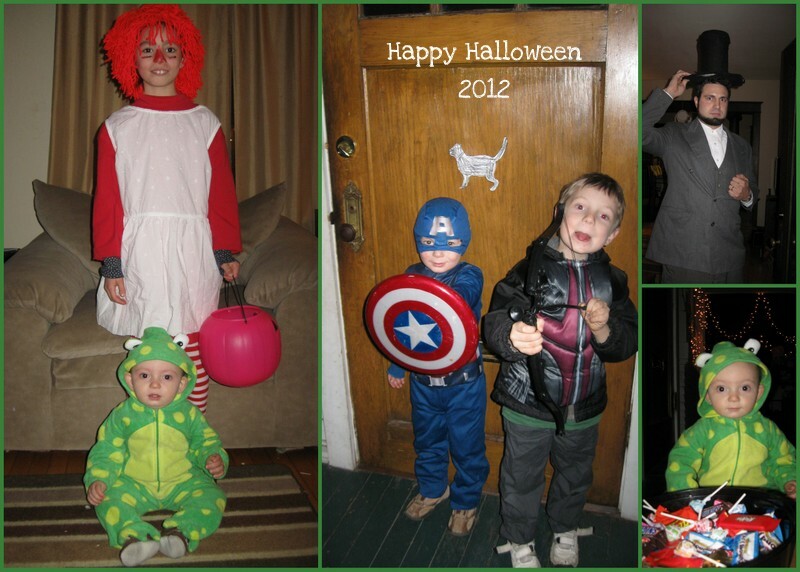 After all, we did a lot of great stuff this year! I have to agree though that stumbling across Logic of English is something I’m pretty happy about from this year too. Before I get into my impressions of the Essentials curriculum, here’s a little background on what led me to the decision to buy it. Our first experience with a spelling curriculum came along for the ride with the phonics package I wanted to use with Miss M. After a few missteps and a bit of experimentation, we hit upon a method of reading/phonics instruction that worked well for Miss M. We used the curriculum Alphabet Island, which teaches phonics by turning the alphabet into some clever characters. It then uses a variety of songs and stories to teach various phonics rules and concepts. This was my first exposure to any type of phonics or spelling rule beyond “i before e except after c” and a few simple statements of that ilk. I had no idea that there was any sort of pattern, for instance to when “c” or “g” said their hard or soft sounds. Alphabet Island level 1 got Miss M through reading and spelling three-letter cvc words in Kindergarten. Then level 2A helped Miss M in first grade to improve her phonics skills to a bit more complex level and start reading and spelling a few varieties of words four letters and longer. 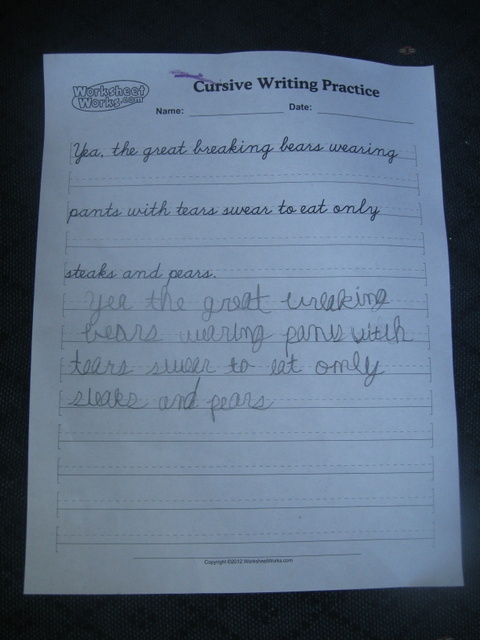 A couple months into first grade, Miss M’s reading ability suddenly took off. I don’t know exactly how this worked out, but in a matter of weeks she went from solidly sounding out a variety of four letter words, to reading easier chapter books with ease. We didn’t really need Alphabet Island for learning phonics any longer, but it quickly became clear that Miss M could not spell many, many of the word she could read. We pressed on through Level 2A of Alphabet Island and started level 2B. 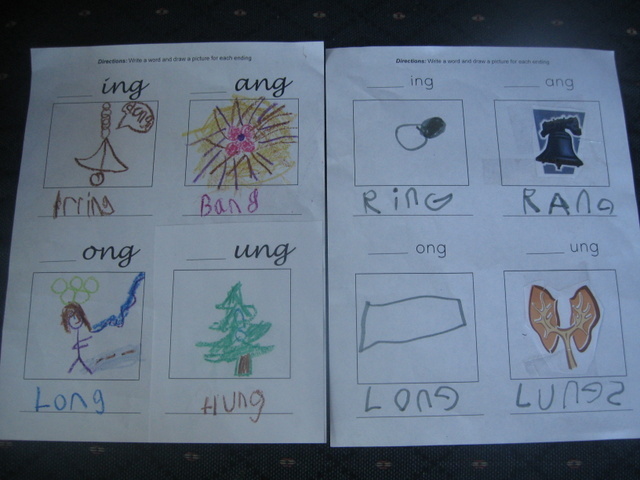 Miss M did weekly spelling lists and filled out workbook pages. I loved the clever way it presented various spelling rules. But it wasn’t sticking. Words that Miss M knew one week were gone the next. Words correct on a spelling test would be incorrect everywhere else. She didn’t know when to apply which rule. One thing Alphabet Island does not emphasize is the teaching of all the sounds each phonogram makes. After a bit of reading and research, I thought a program that teaches phonograms might help Miss M to make improvements. Being the generally budget-conscious person that I am, I decided to try out “How to Teach Spelling” (HTTS) and it’s companion workbooks. It’s one of several curricula based on the Orton-Gillingham approach to spelling and phonics. 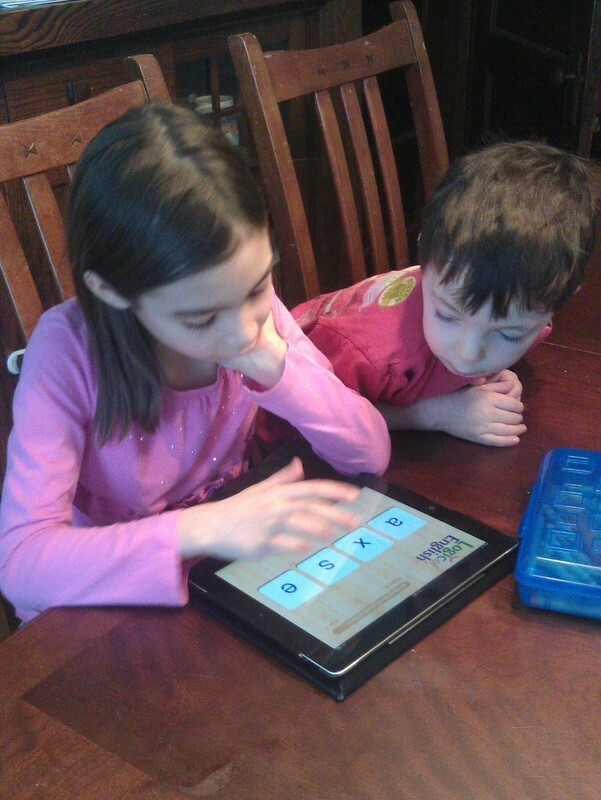 We tried out HTTS for the first few months of this past year (Miss M’s 2nd grade year). I really can’t fault this curriculum much at all in terms of its underlying principles. How to Teach Spelling has many of the same underlying principles as Logic of English! However, it is not particularly user friendly. I could ask Miss M to fill out workbook pages, but then I had to skip around to various portions of a teacher manual and use some guesswork to figure out exactly which portions I was supposed to use when to somehow teach the rest of a lesson. 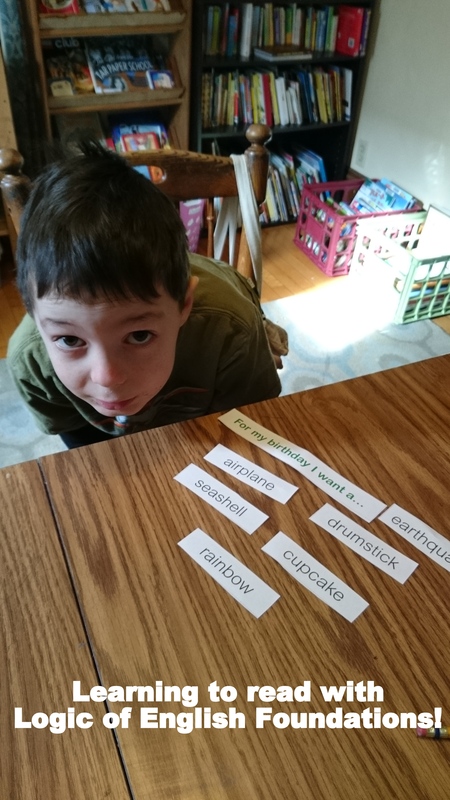 The authors recommend teaching all the phonograms and their sounds, but I was on my own to make flash cards or find other ways to accomplish this task. So, in other words, we really didn’t practice the phonograms much at all. I didn’t have the time or energy to figure all that out on my own. After Christmas I pretty much abandoned How to Teach Spelling in favor of just trying to teach Miss M the words she herself was misspelling. She completed exercises in a writing workbook, and then I would correct her spelling and make lists of oft-misspelled words. She practiced these words on scratch paper or on the iPad. But still her spelling was not improving. She was still spelling the same words wrong over and over again and misapplying the rules she did know. Enter “The Logic of English”! 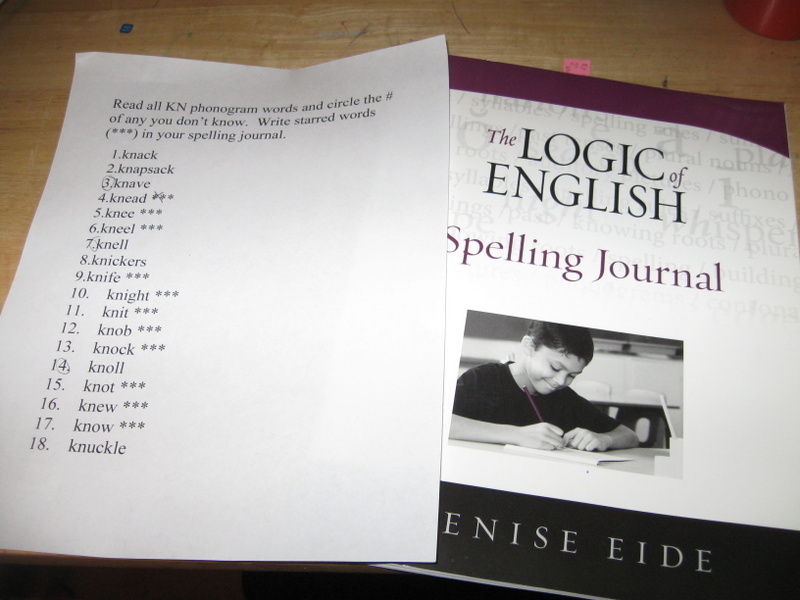 Earlier this year, I read Denise Eide’s book, Uncovering The Logic of English. You can read my thoughts on it in this post, but needless to say it made a big impression on me. The more I learned about teaching reading and spelling by teaching the phonograms and a few simple spelling rules, the more I wanted to really do a good job of teaching spelling in this way. And based on my experiences with How to Teach Spelling, I knew I needed a curriculum that would “hold my hand” and tell me what to do each day to make it happen. Life is just busy around here and while I can fly by the seat of my pants or do my own planning for some subjects, spelling just isn’t one of them. 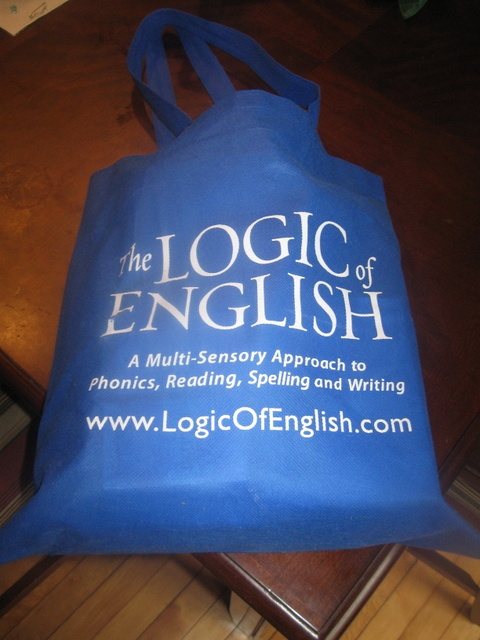 I started using the Logic of English Essentials as soon as I brought it home from the convention. 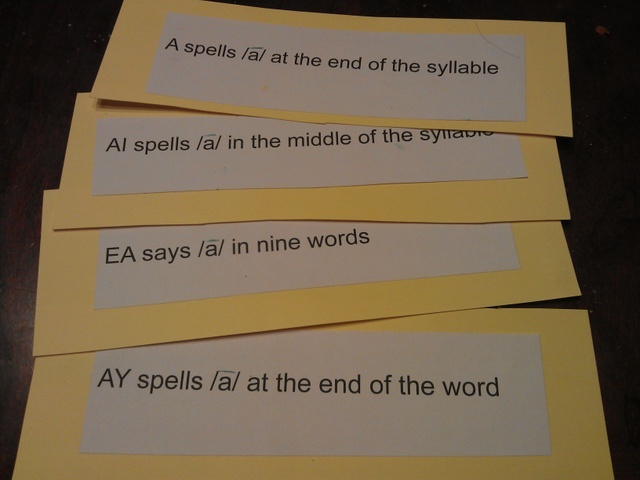 After reviewing the teacher manual, I decided we would try and work through the curriculum at the curriculum at the pace of 1 lesson per week with Miss M (finishing 2nd grade, and moving into 3rd grade next year), while simultaneously teaching Mr. E (age 5, just starting Kindergarten) the phonograms. The Logic of English Essentials teacher’s manual offers a variety of suggested schedules — from an intense remedial schedule that could be completed in a couple of months to a multi-year schedule for younger learners. I’ve already been teaching Mr. E to read using Phonics Pathways as well as a variety of phonics-based easy readers. That method is working well for him, so we’ll continue that while incorporating information from Logic of English. We discuss spelling in informal ways currently, and my gut feeling is that spelling will come more easily to him than it has to Miss M. I’ll start moving through the spelling lessons with Mr. E once he is reading a bit better and is more comfortable writing in something other than just all upper case printing. That may be right away this fall, or it may be later — I’m not quite sure yet. The format of the lessons in the Logic of English Essentials teacher’s manual makes it easy for the parent to pick up the manual and use it without a lot of prior preparation. Each lesson tells you what to say if you need exact prompts, tells you what materials to use and which activities or workbook pages to complete. The lesson is divided into several parts, making it easy to spread the lesson out over a week or more and still know what to do each day. The only prior preparation that may be necessary is sorting through the phonogram flash cards (and game cards if you are going to use any) to find the new sounds you want to add to your “deck.” The first week I didn’t do this ahead of time, and I had some frustrated students on my hands while I looked through a big stack of cards and decided what we needed. Each lesson generally seems to follow the same basic format, so even after just three lessons (aka three weeks of use), Miss M seemed very comfortable with the process and knew just what to expect. Each lesson has several “optional” exercises as well as the main exercises if students need more practice in certain areas. Grammar and Vocabulary development activities are included, but you can omit those if you prefer or spend less time on them. With the grammar in particular, we will be just lightly covering this material as I have plans for more in-depth grammar study once Miss M reaches 4th grade. I bought the optional, but very useful, Phonogram and Spelling Game Book as well. Not every lesson incorporates games, but if you have a younger learner or a learner who finds games to be a very useful method of study having the game book will be very useful in finding additional ways to practice. 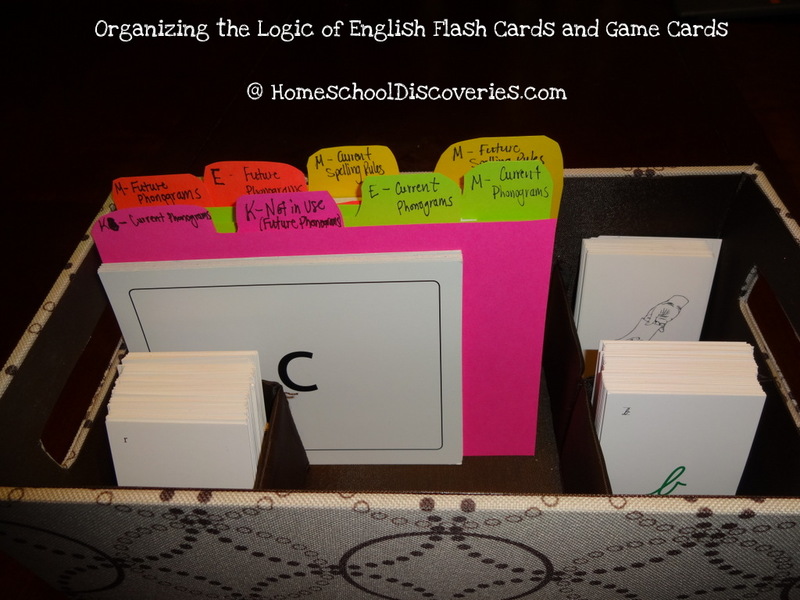 The book features card games, paper games (like bingo), games that could be played with a chalk/dry erase board and active games for learning while playing something like hopscotch. I like the fact that the games can easily be tailored to multiple ability levels. 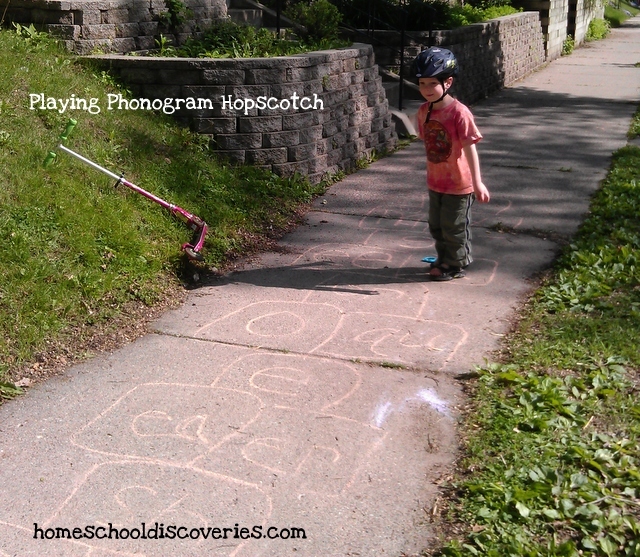 I expect Miss M to know all the sounds a phonogram makes, I allow Mr. E some leeway to remember “most” of the sounds (as a five-year-old it is taking him a bit longer to remember all the sounds for some of the phonograms that have three or four sounds!) and I can even include Mr. K at times as he is beginning to learn the names of letters and perhaps one sound that each letter makes. This is a big question on many people’s minds! Logic of English is more expensive than some “basic” spelling programs. The teacher’s manual and one workbook without any extras runs $120. However most of those “basic” spelling programs either require more teacher prep/decision making (as I discovered with How to Teach Spelling) OR they are not phonogram/rule based. 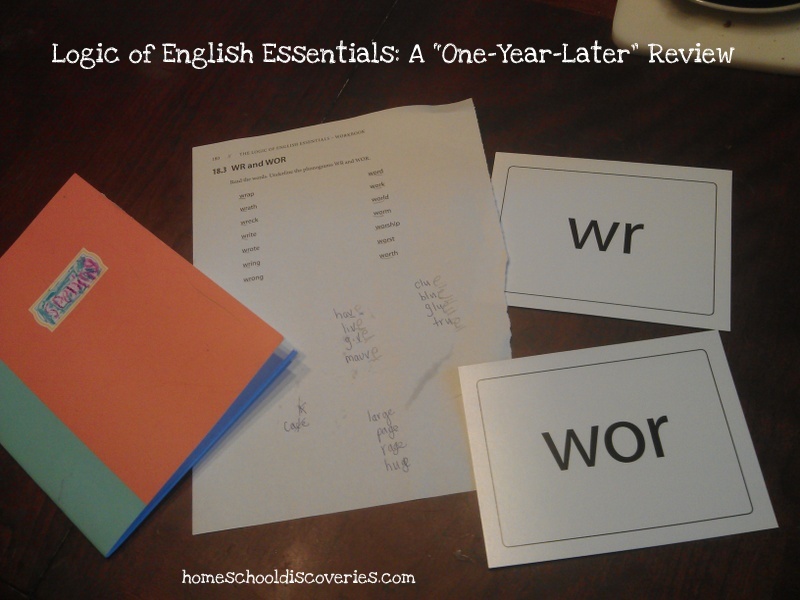 If you have a student who needs direct instruction in spelling (aka they aren’t just a really natural speller) and you want the benefits of a rule/phonogram based spelling program and you want the prep-work done for you, then clearly this is worth your money. If you have a student who seems to excel with weekly spelling lists or just remembers easily how to spell words, then this whole program might not be worth the money. However, I believe that everyone could benefit from the basic principles outlined in “Uncovering the Logic of English”, so you could just consider purchasing Denise Eide’s book and teaching your student some of those rules and principles to give them the “why” behind the words they already know how to spell. Also, keep in mind you are getting big, high quality books for your $120. The teacher’s manual is a large, sturdy, hardcover book. It should hold up well over use for multiple students and I would guess retain its resale value well because it won’t be falling apart. The student workbook is definitely consumable, but again, you are getting a big book for your $25. You might be able to just use a notebook instead or have students write their work on a dry-erase board, but I have seen much smaller/thinner workbooks sold for a similar price! 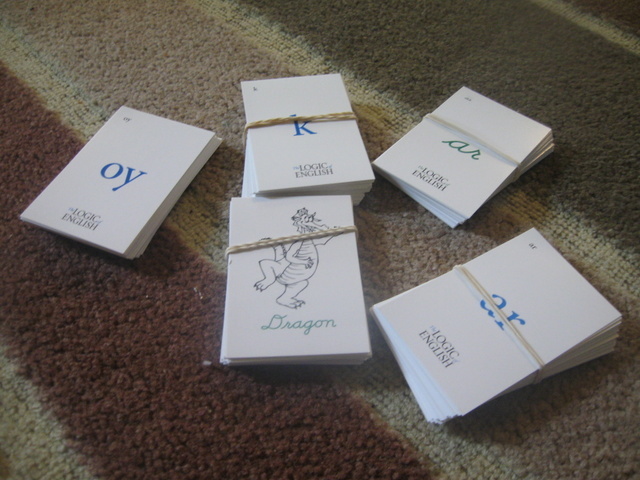 Purchases of the supporting materials for this curriculum do add up a bit as well (phonogram cards, rule cards, game cards, etc). Other than the Game book, many of the other “extras” could be made yourself if you have time on your hands. If time is on your side, go for it. But if you are limited on time as I am with four kids, then it seems very worth while to just have all the phonogram cards and so on ready to go! How much time do you need to spend each day on spelling? Can the student work independently? The amount of time spent will depend on the schedule selected. If you want to go with the fast-paced remedial learner schedule, Eide recommends as much as an hour or two per day. For the schedule we are following, 30 to 60 minutes per day is recommended. I find that we are spending about 30 minutes per day, unless we are playing a game that takes longer to complete. A portion of the lesson (mainly workbook practice) can be done independently but the parent will be spending a majority of the lesson time with the student. Time spent with younger students will vary depending on their patience and readiness. Mr. E’s patience so far for practicing phonograms or playing games is rarely longer than 15 minutes or so. That’s fine, since I don’t expect a five year old to move through the material very quickly. Have you found any similar programs? Who would or wouldn’t like Logic of English? The program I most often see Logic of English compared to is All About Spelling. Both programs have a lot of the same underpinnings, but teach the material differently. All About Spelling is divided into more levels that are individually less than the cost of this program, but purchases of those levels will quickly add up as well. I have not used All About Spelling so I can’t really fairly compare the two. If you are looking for a rules/phonogram based spelling program, however, that is probably the other program you would want to check out. As you read about both, you can find out which program’s approach and teachings methods appeal more to you and your students. 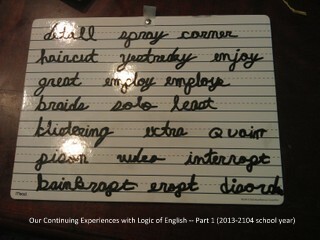 If you are looking for a program with a limited amount of writing, then Logic of English Essentials might not be the program for you, though you could conceivably do many of the exercises in modified ways if you have a student that struggles with writing. If you don’t like having lots of pieces and parts to keep track of, then you might find the “games” aspect of this program annoying — but the program should work without the games, so don’t let that alone keep you from checking out this program. It’s also not a program that can be completed independently, as I mentioned earlier. You need to make sure that you as the parent have the time to spend teaching your student. How well do you think this would work as a stand-alone curriculum to teach a younger student (Preschool or Kindergarten) how to read and spell? 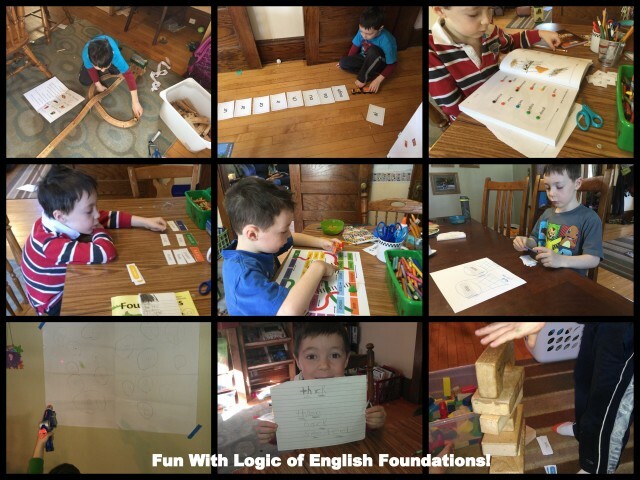 Logic of English essentials does have a schedule for younger students to complete the program over the course of two years. I think using the program with younger students is not quite as “open and go” as it is for a bit older students who already know how to read and have the maturity to sit and complete 30 minutes of spelling work. First, you would need to make sure your younger student can recognize, know the sounds of, and probably also write the letters A to Z in lower case. Students also need a basic level of phonemic awareness (activities are included, but not extensively scheduled out). You would then have to decide how to break up the parts of each lesson into smaller chunks and when to add additional games. Since Logic of English is primarily a spelling curriculum, you would at minimum need to add plenty of phonics-based readers for practicing blending words together. LOE Essentials moves in one lesson from mostly three letter words to four and five letter words. Based on my limited experience, most beginning readers need lots of practice at the CVC or “three letter word” blending phase, and additional practice for consonant blends, and so on. While the building blocks (the phonograms and rules) are presented, you would be “on your own” to practice these concepts. I have a suspicion that most parents would be happier using some other curriculum prior to or along side of Logic of English Essentials for teaching a younger student to read. 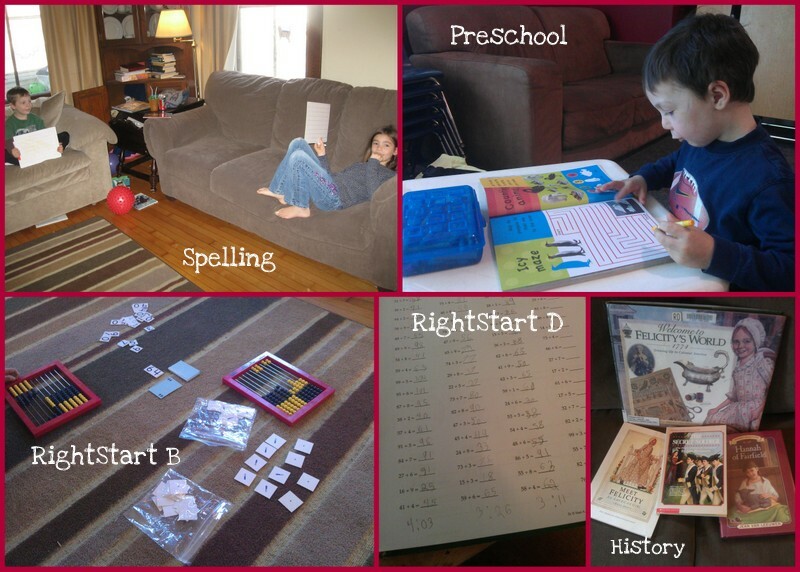 I would suggest checking out Phonics Pathways or The Ordinary Parent’s Guide to Teaching Reading, as these programs will provide more step-by-step reading practice. Have any other questions? I will try and answer them in the comments, or check out the Logic of English website, including their forums! P.S. (Added May 12, 2013): We’ve now been using Logic of English Essentials for over a year! 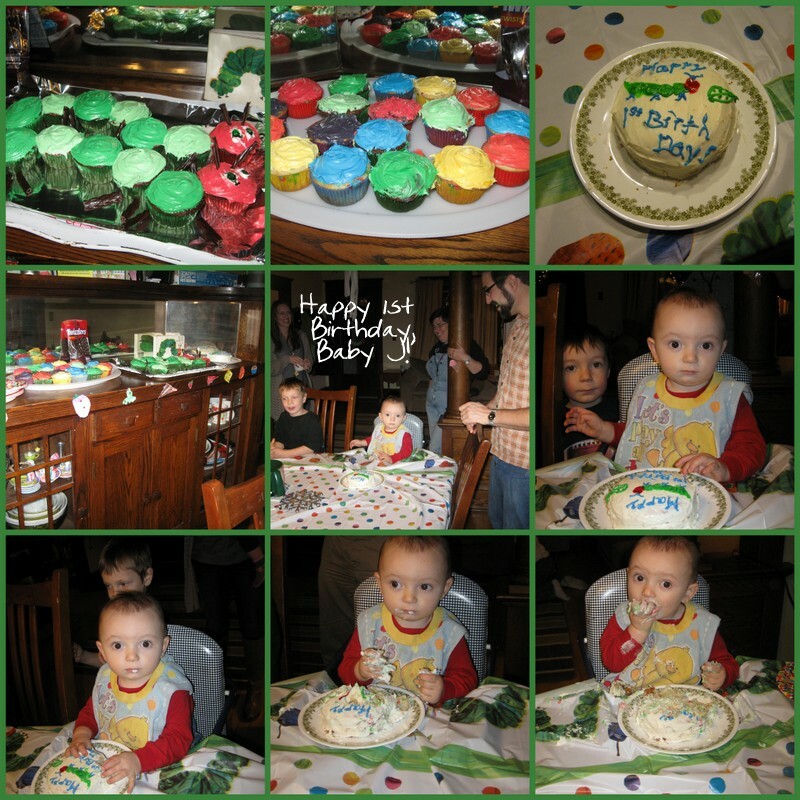 Read my one-year-later update here.